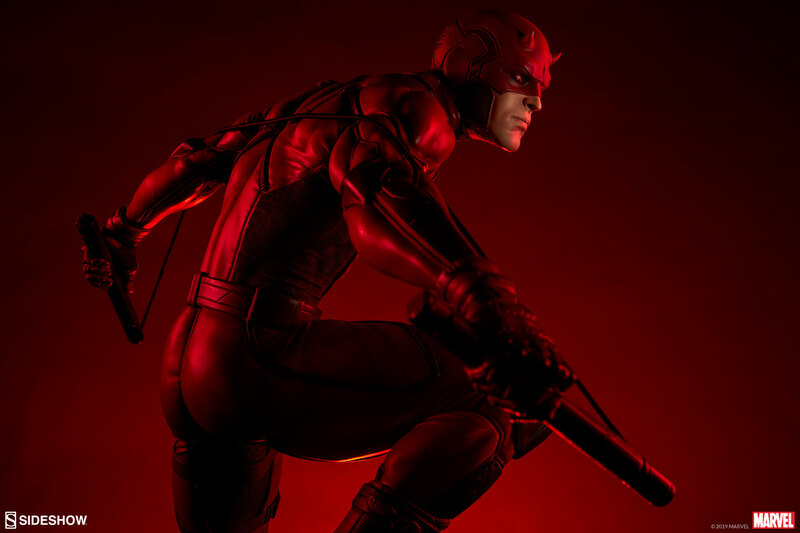 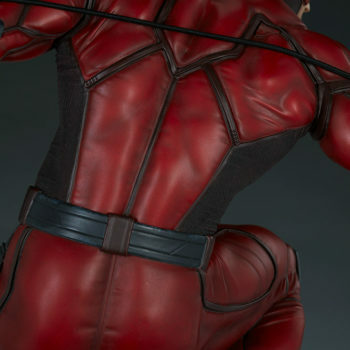 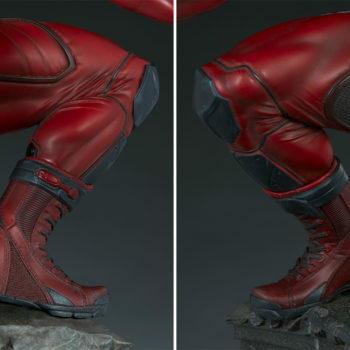 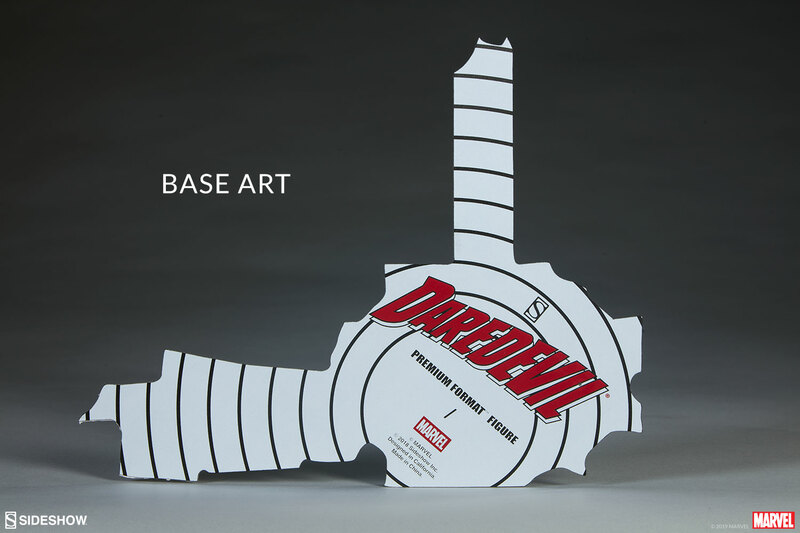 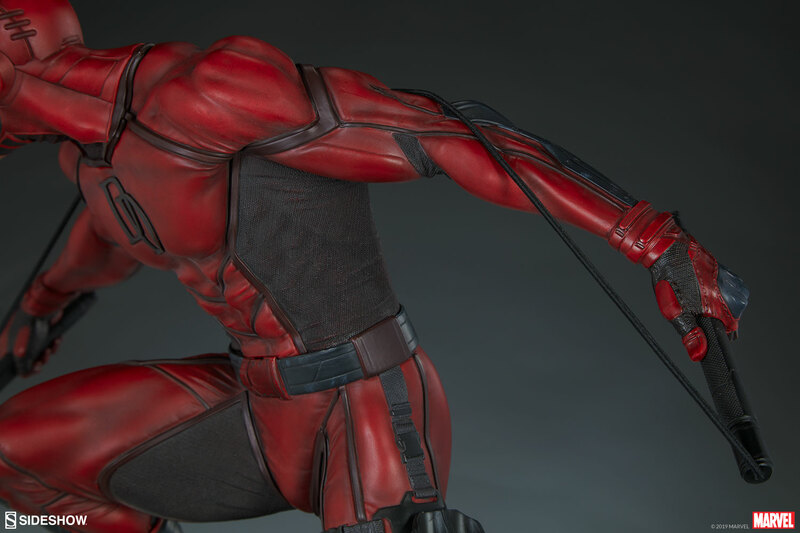 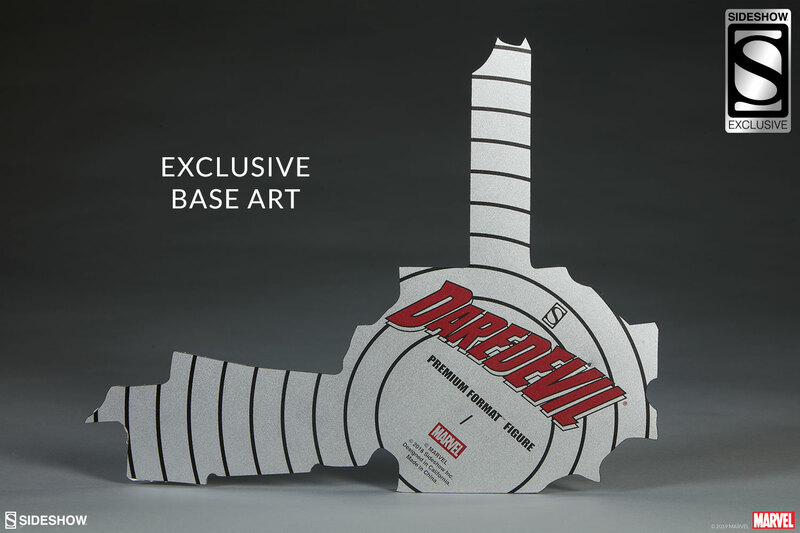 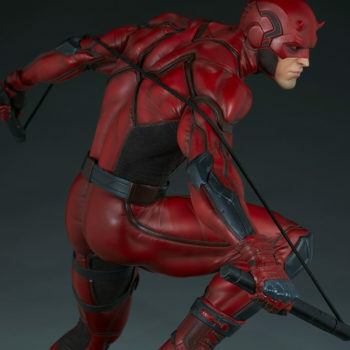 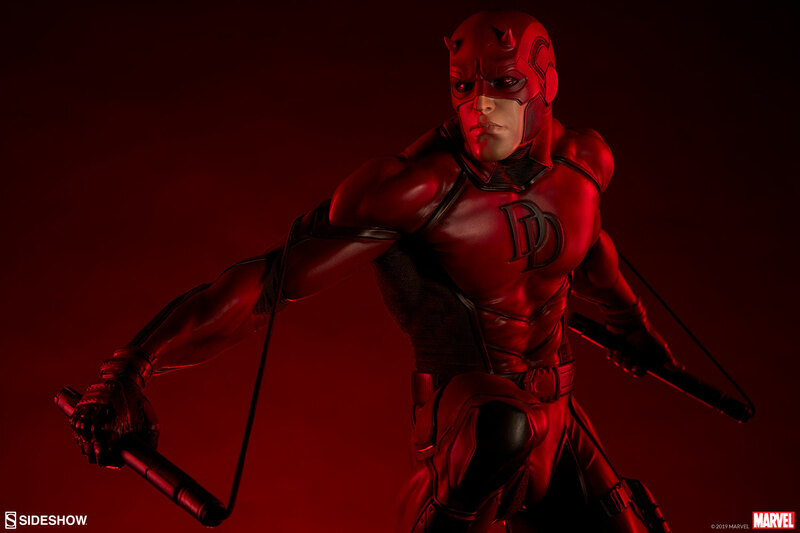 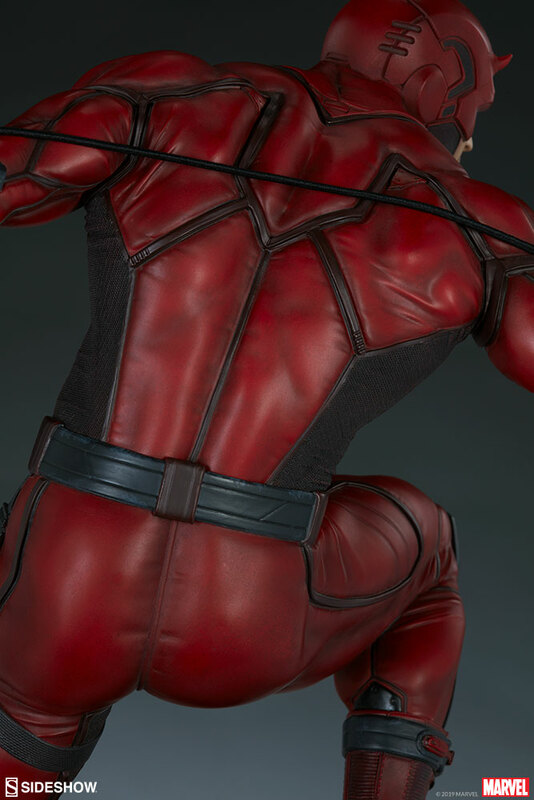 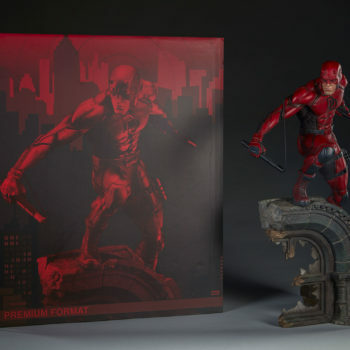 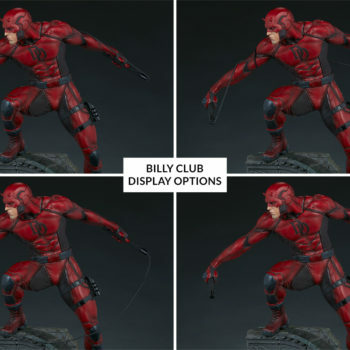 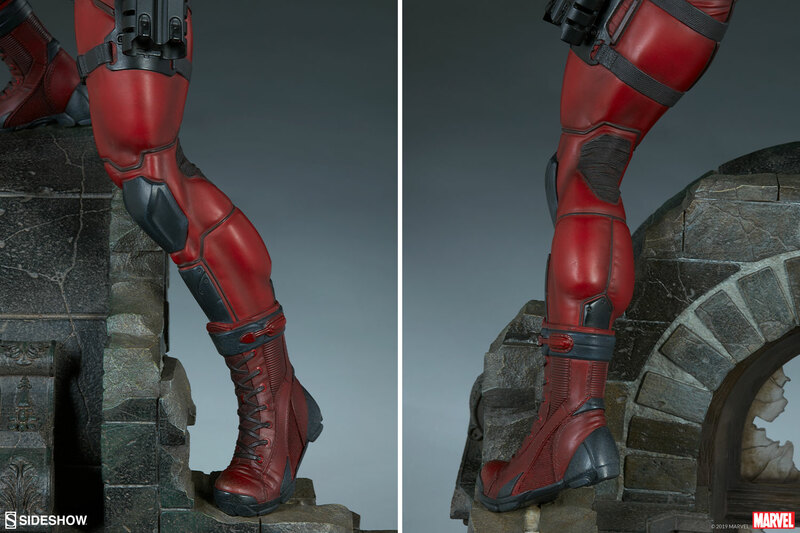 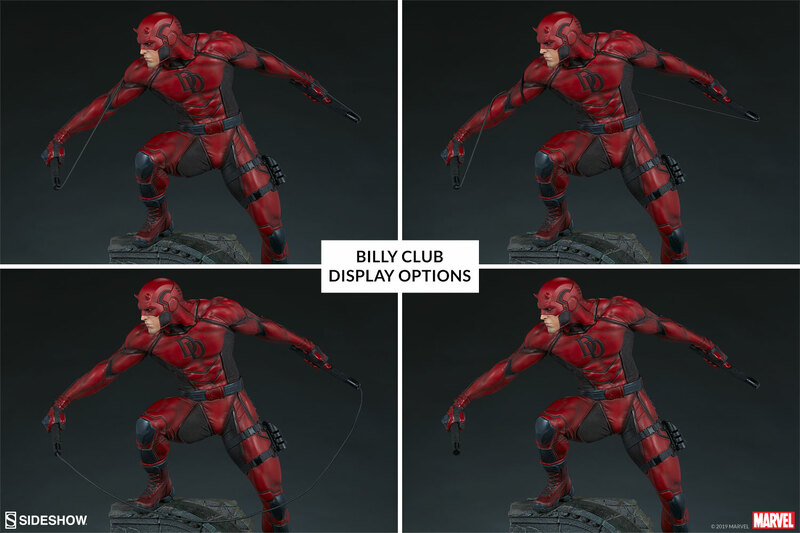 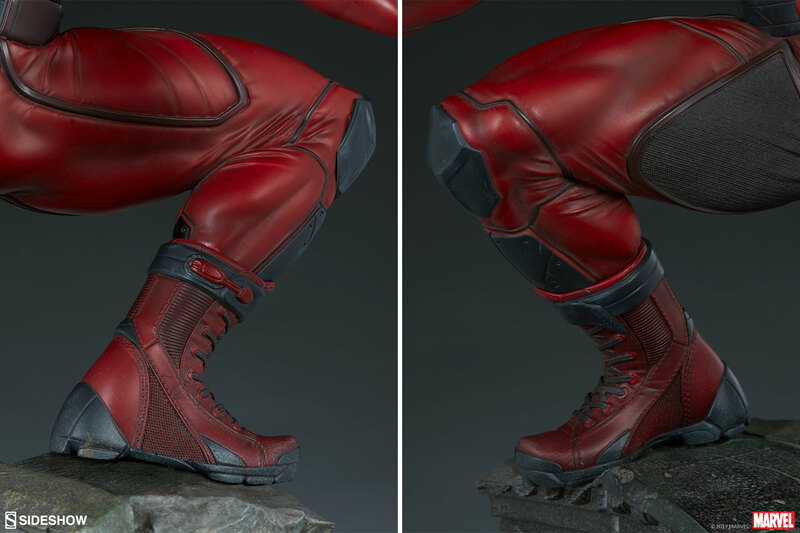 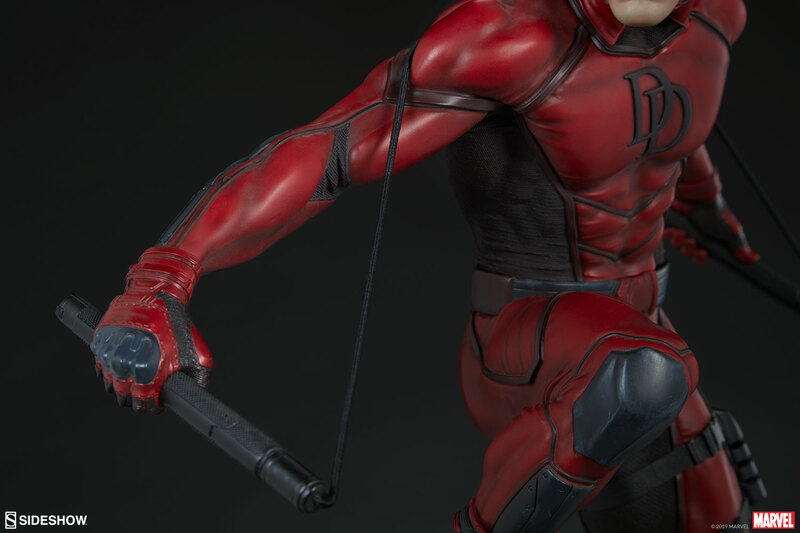 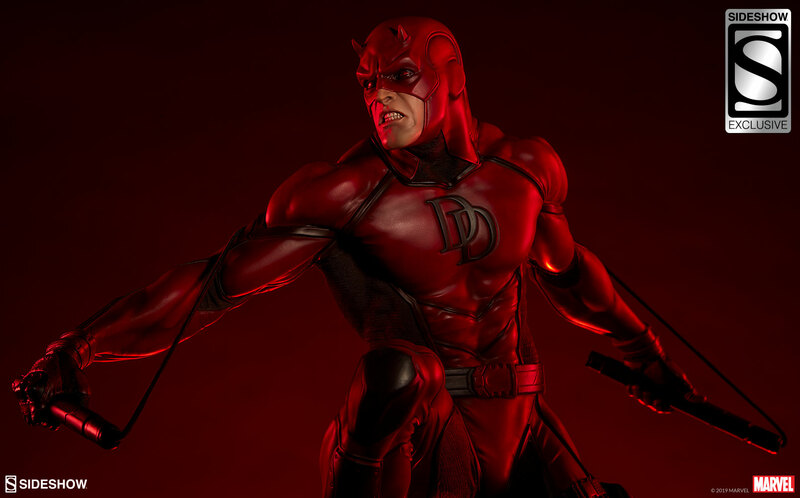 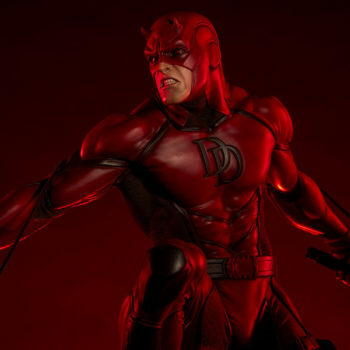 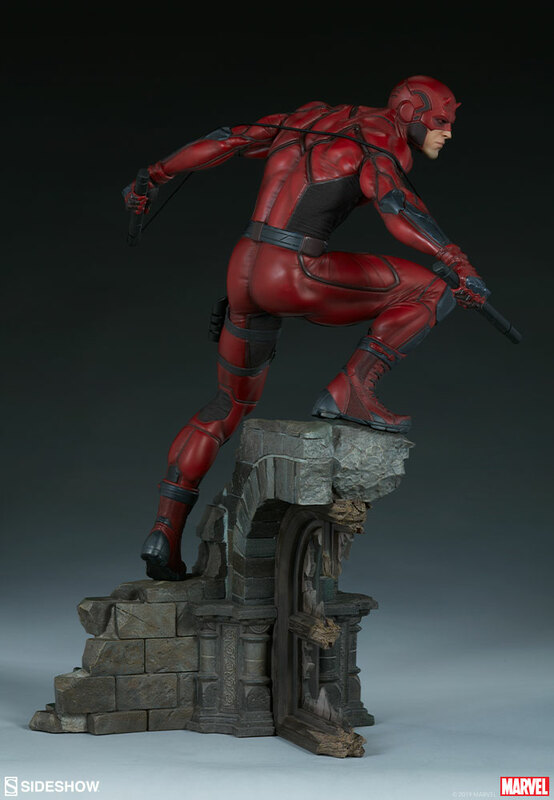 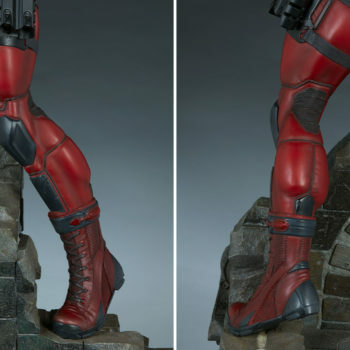 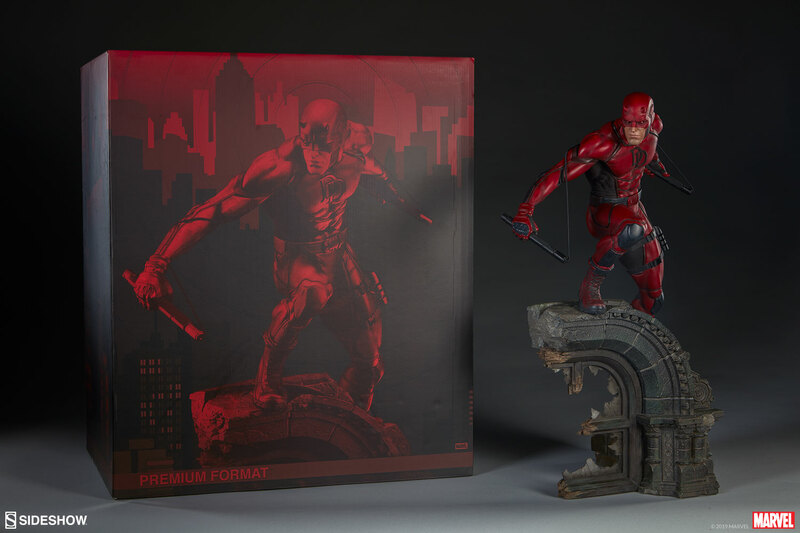 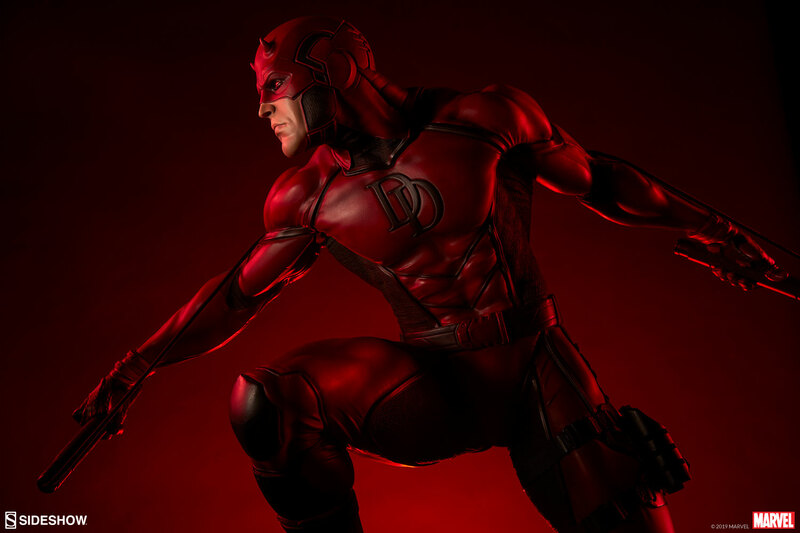 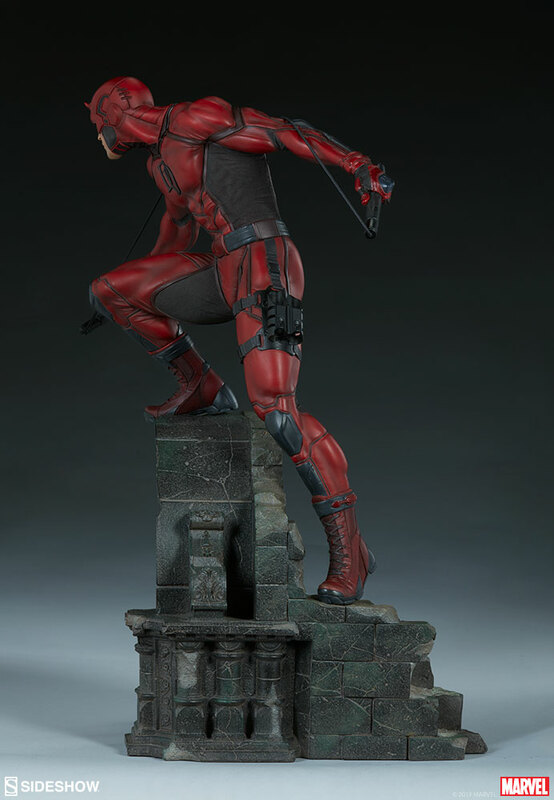 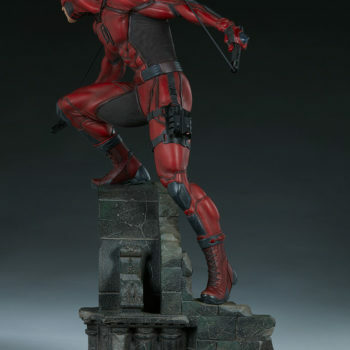 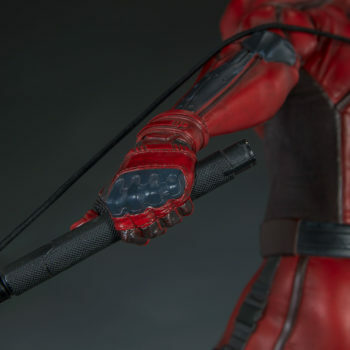 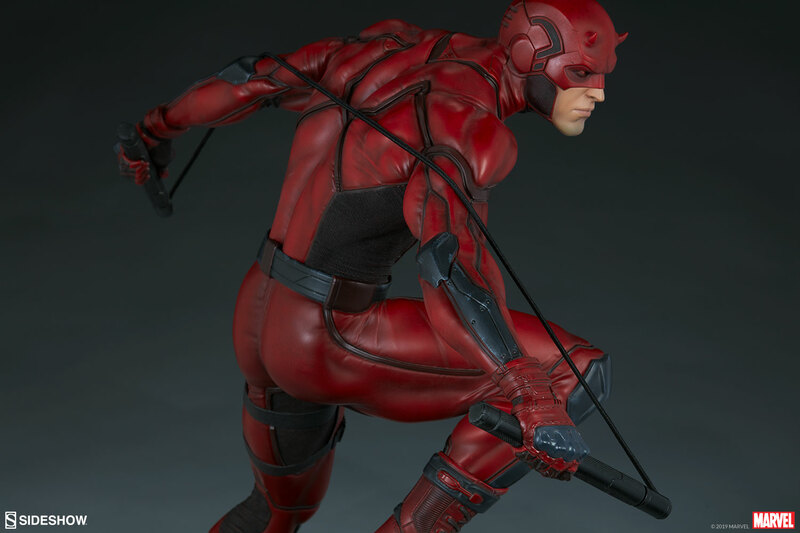 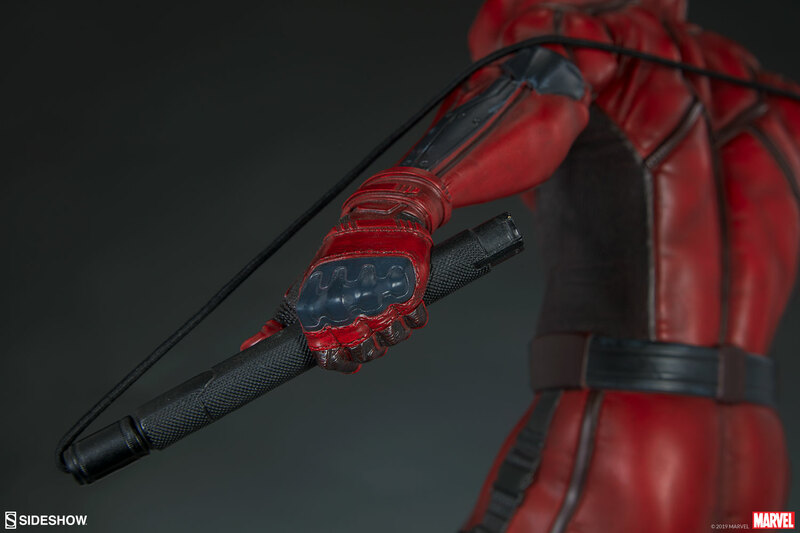 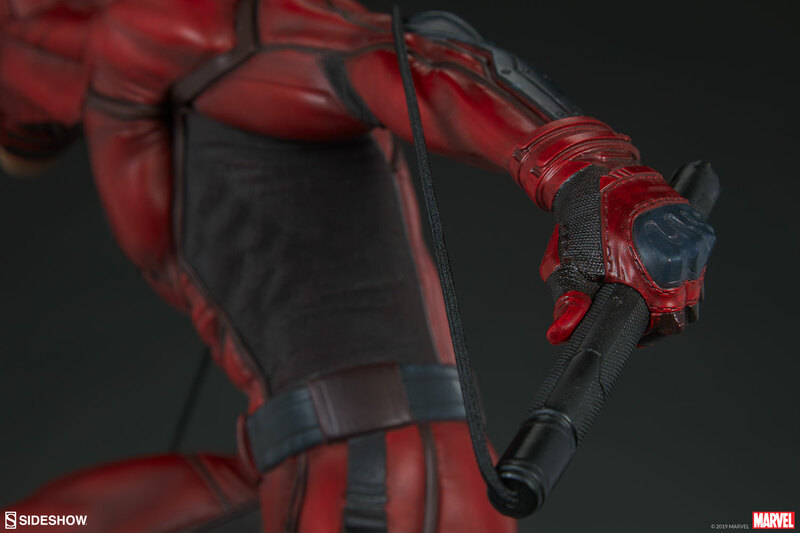 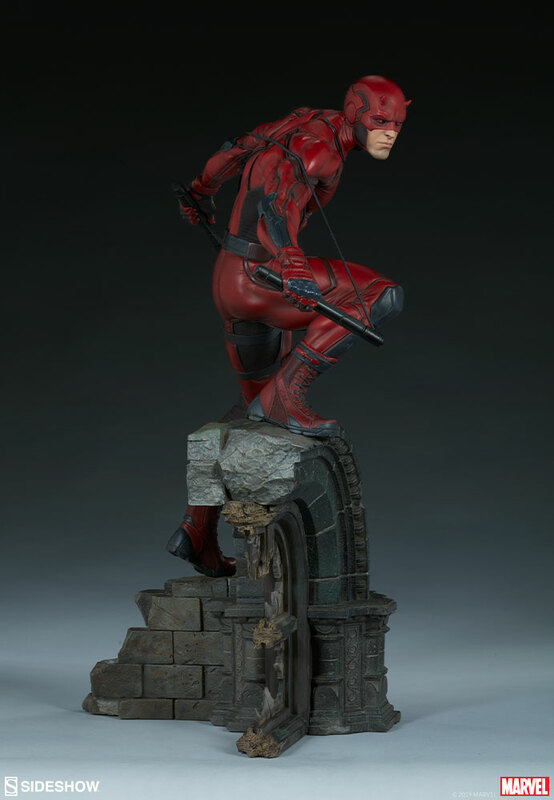 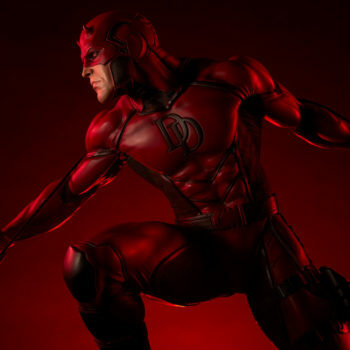 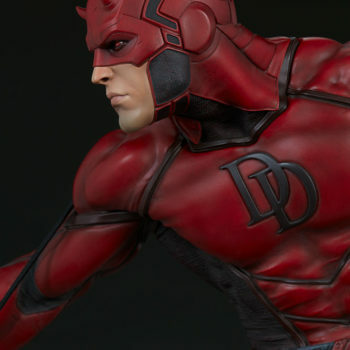 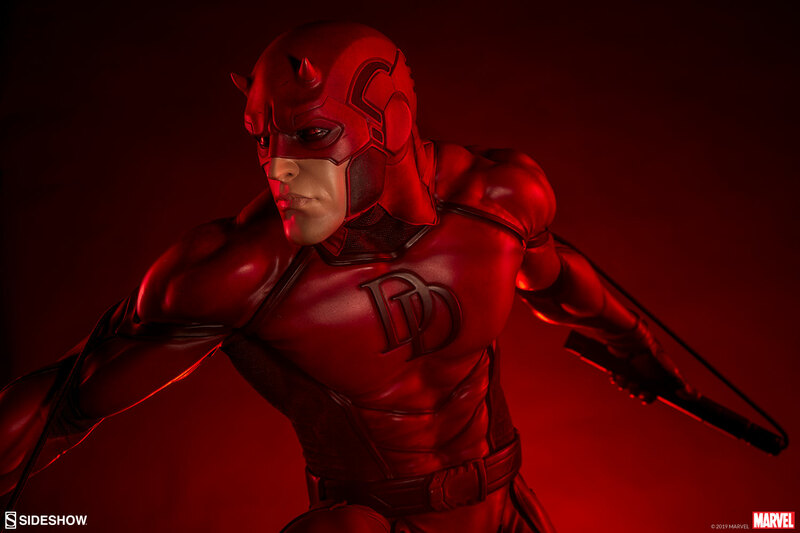 Better the devil you know- Sideshow presents the official production gallery of the Daredevil Premium Format™ Figure, available now! 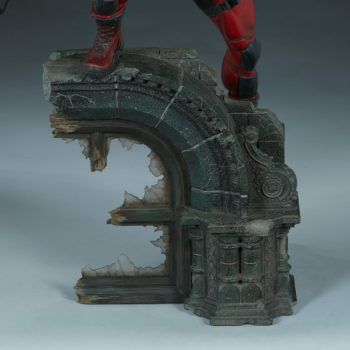 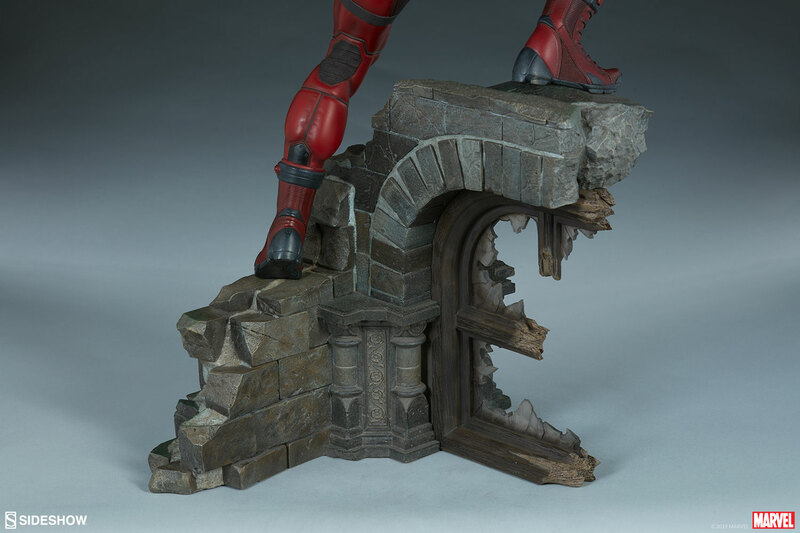 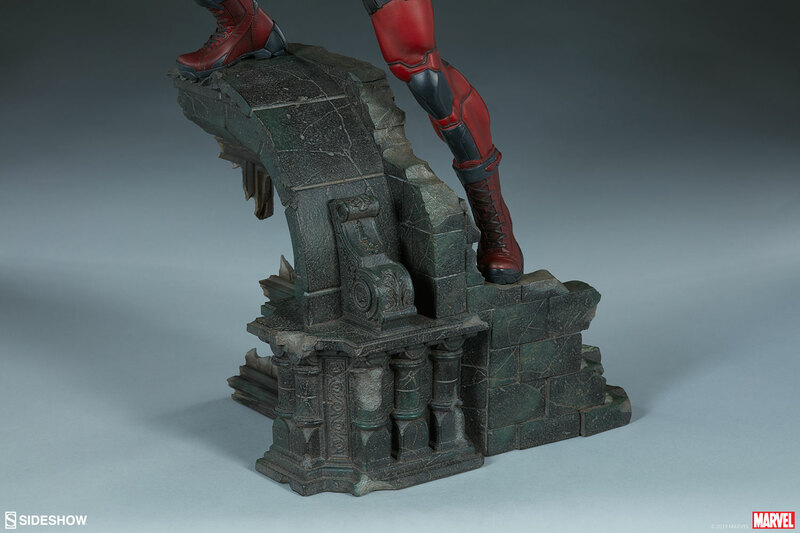 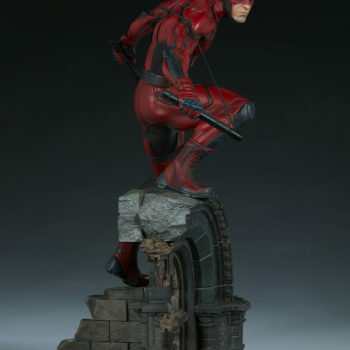 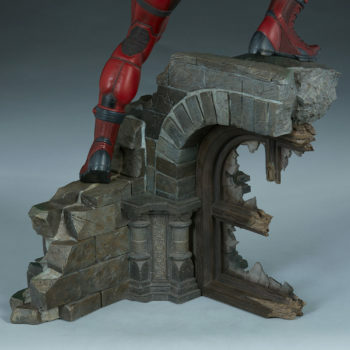 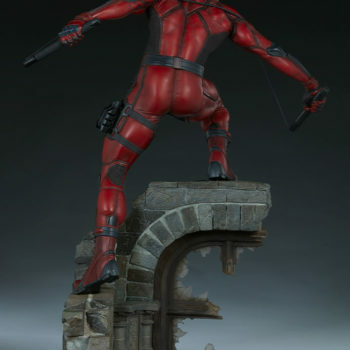 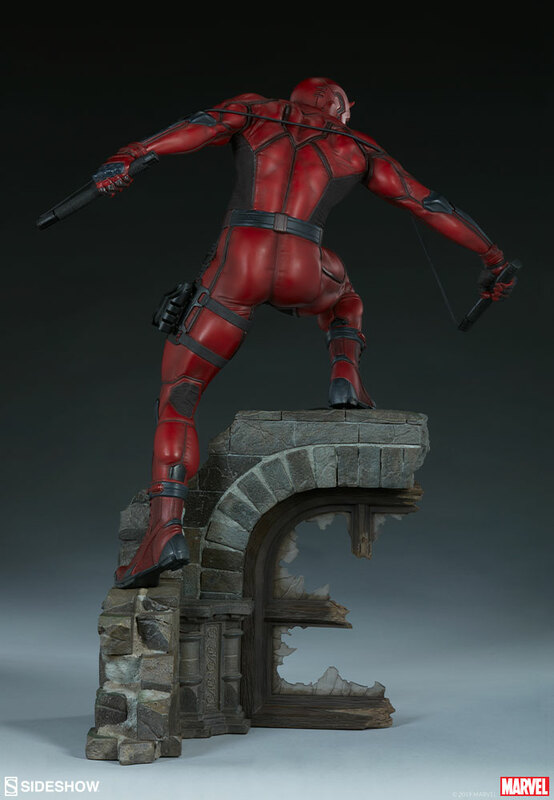 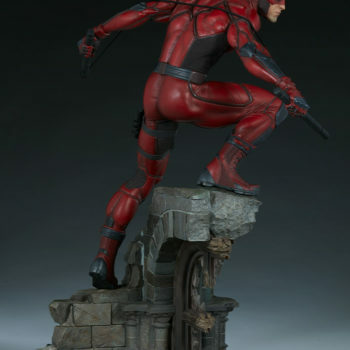 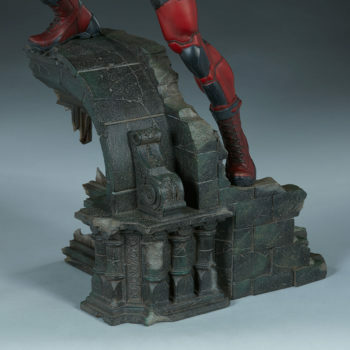 Daredevil measures 21” tall above the rooftops of Hell’s Kitchen, lunging on a broken-window base inspired by the gothic architecture of the city he’s sworn to protect. 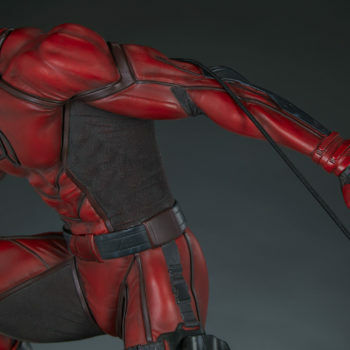 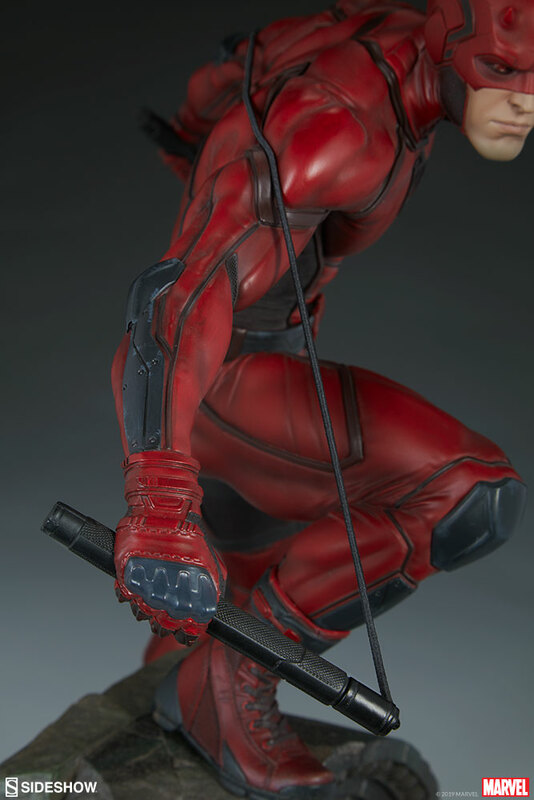 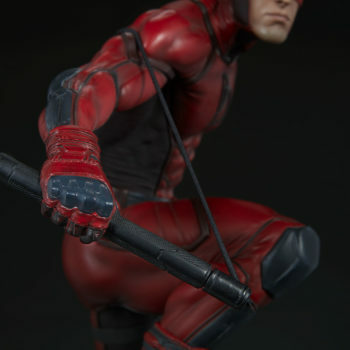 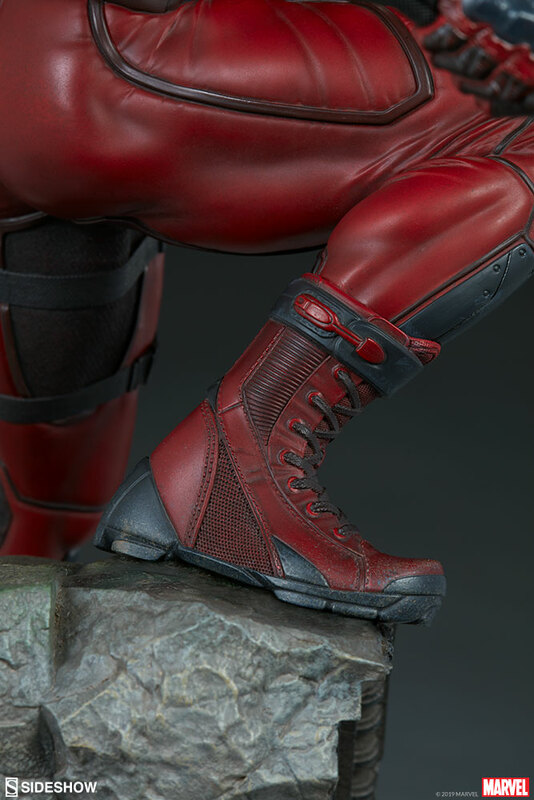 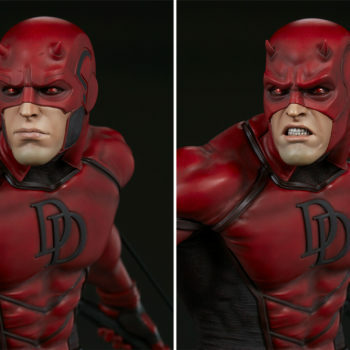 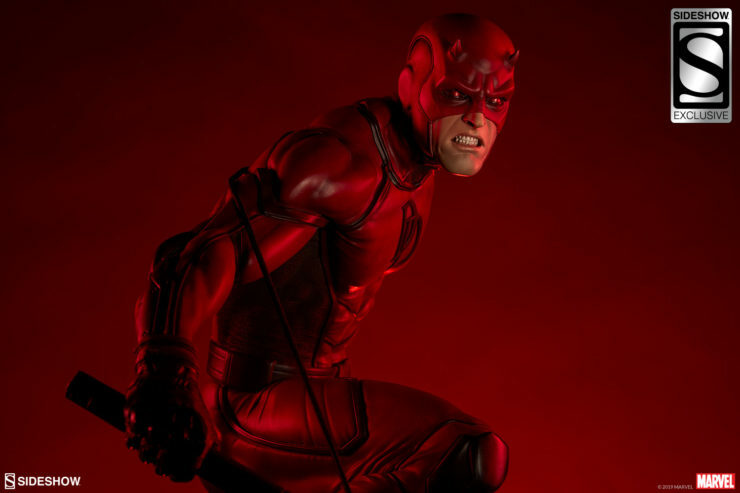 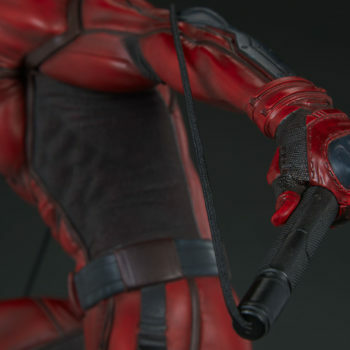 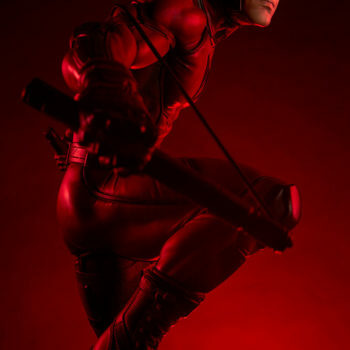 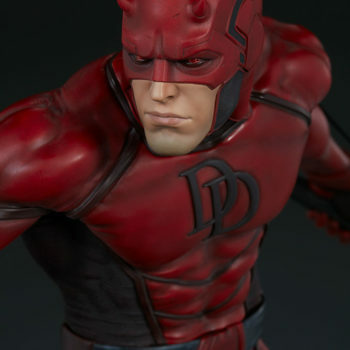 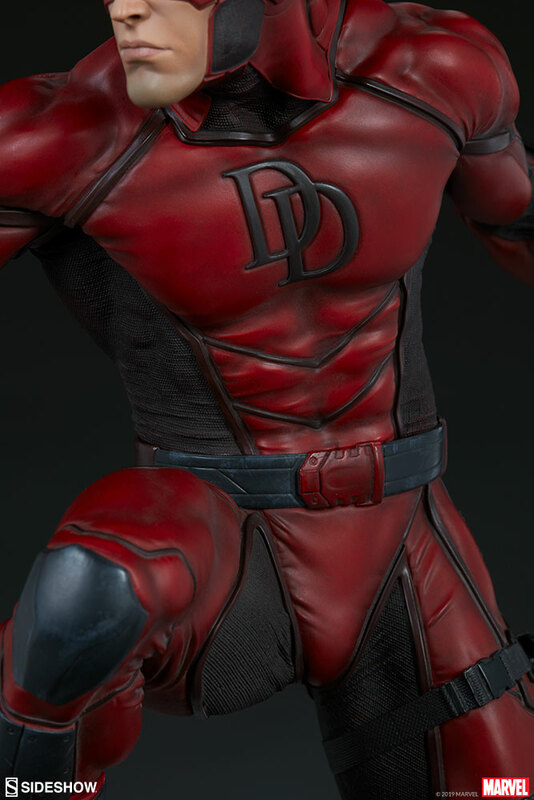 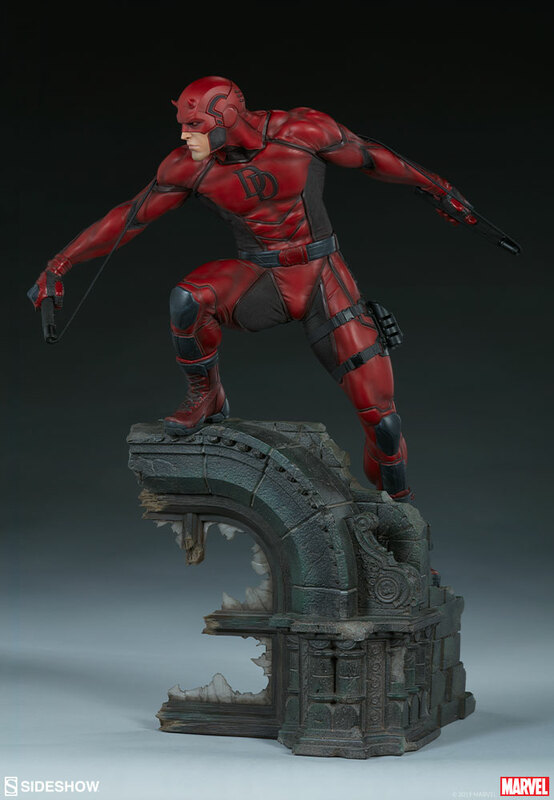 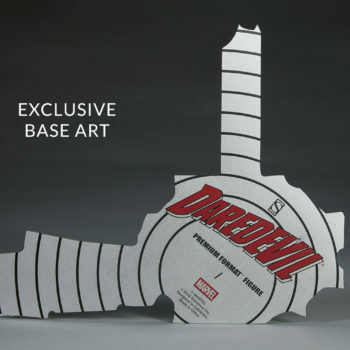 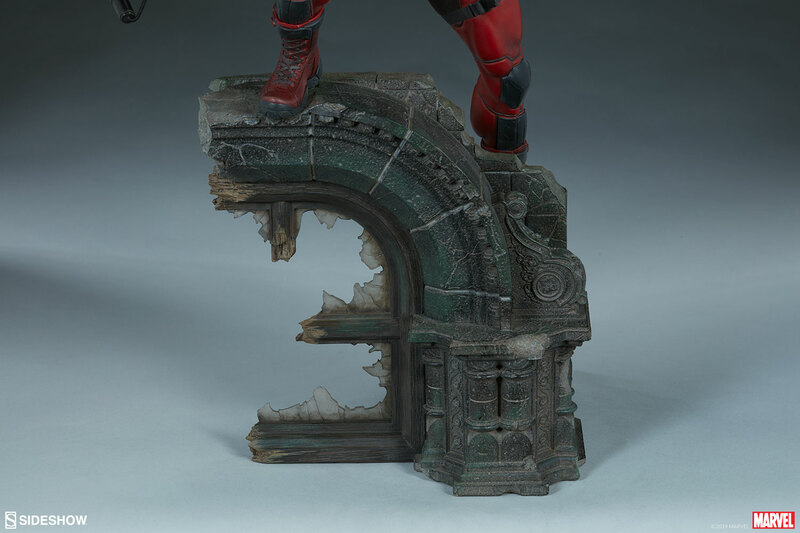 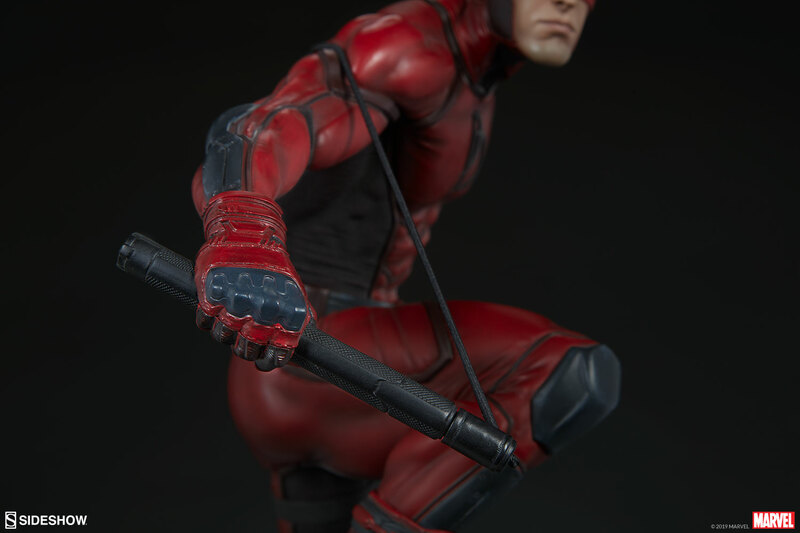 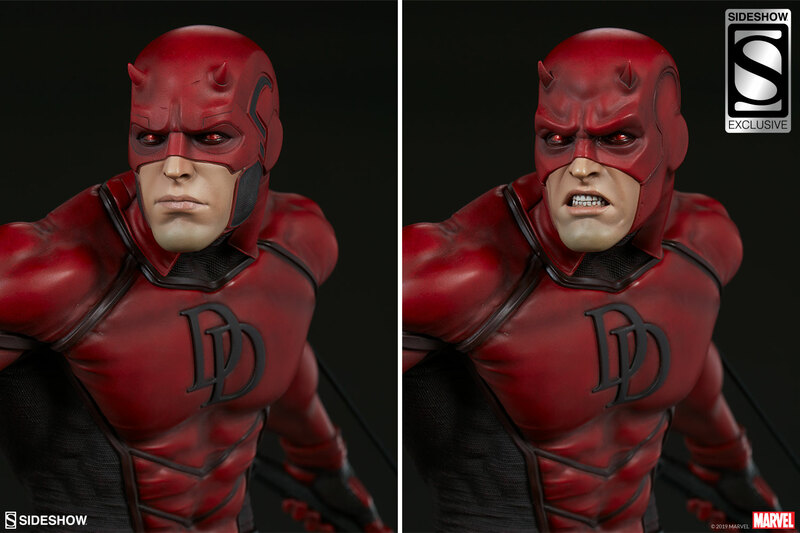 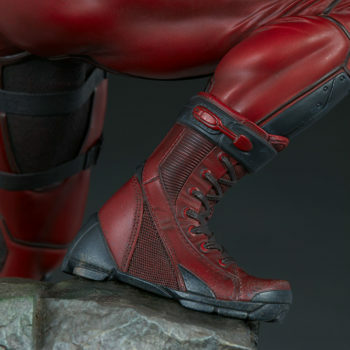 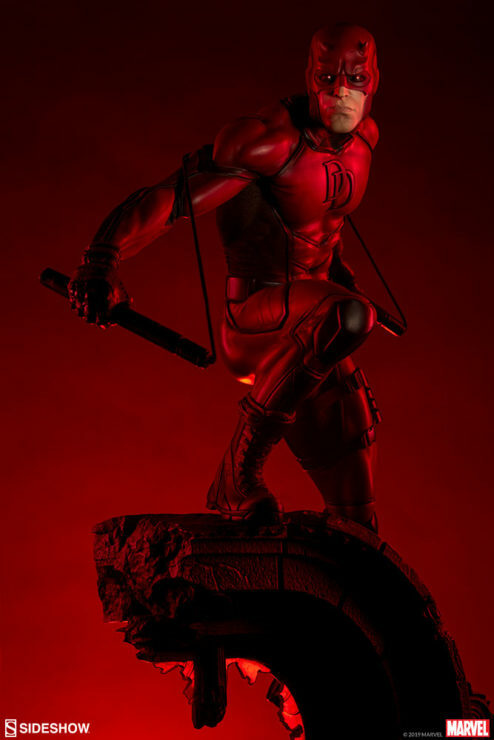 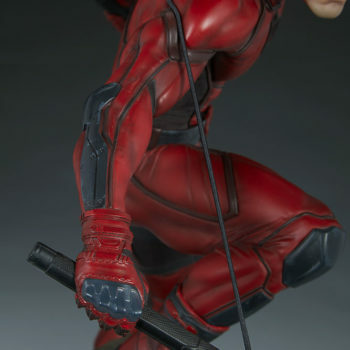 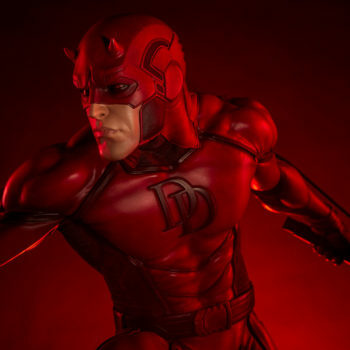 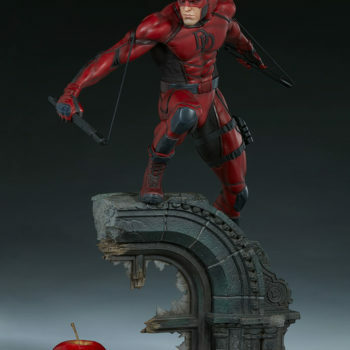 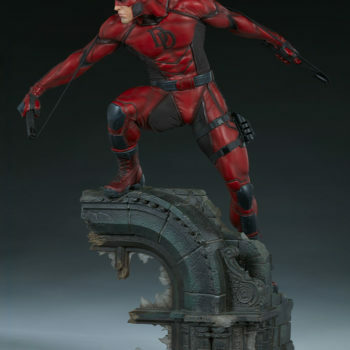 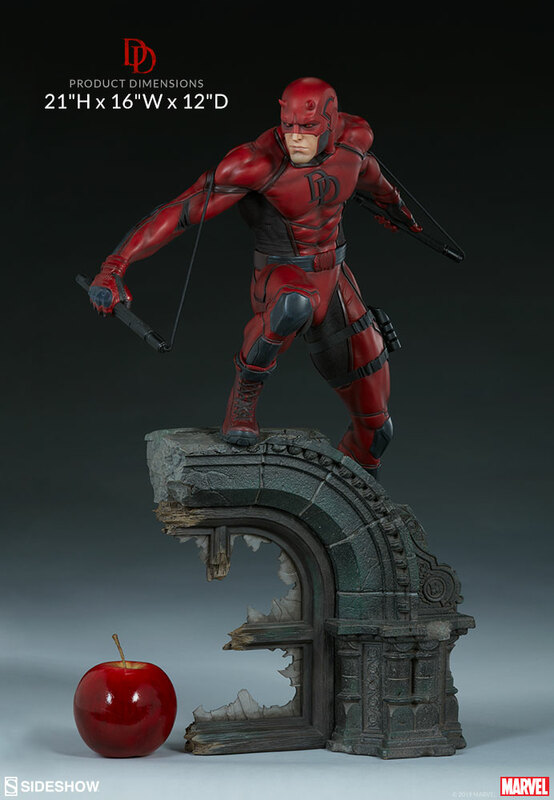 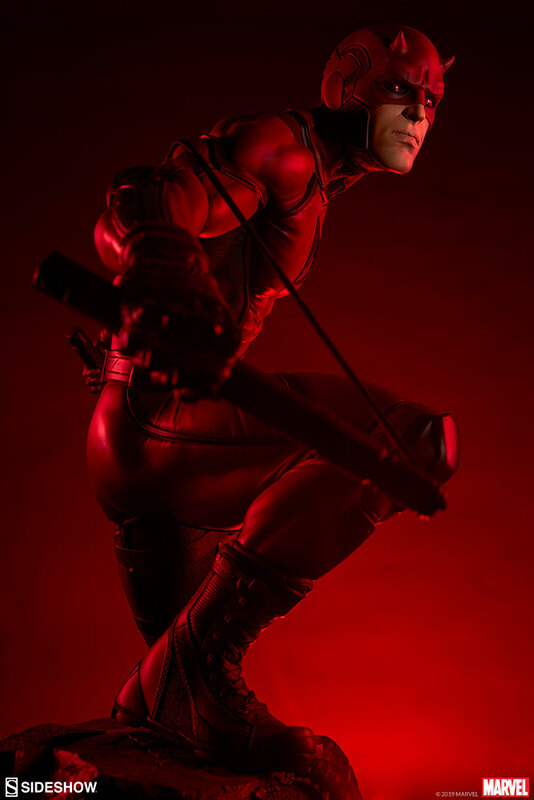 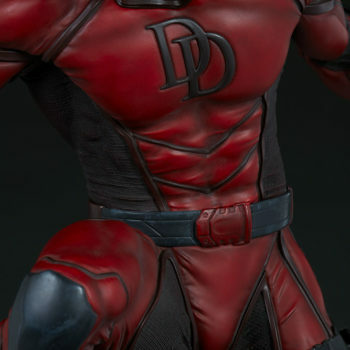 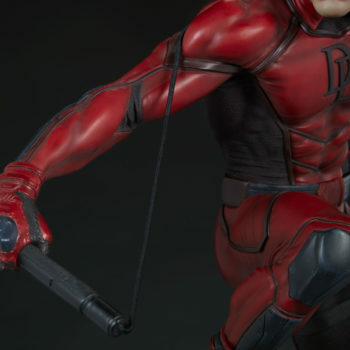 The Exclusive edition of the Daredevil Premium Format™ Figure features an alternate portrait with Matt Murdock’s classic costume hood and a gritted-teeth expression. 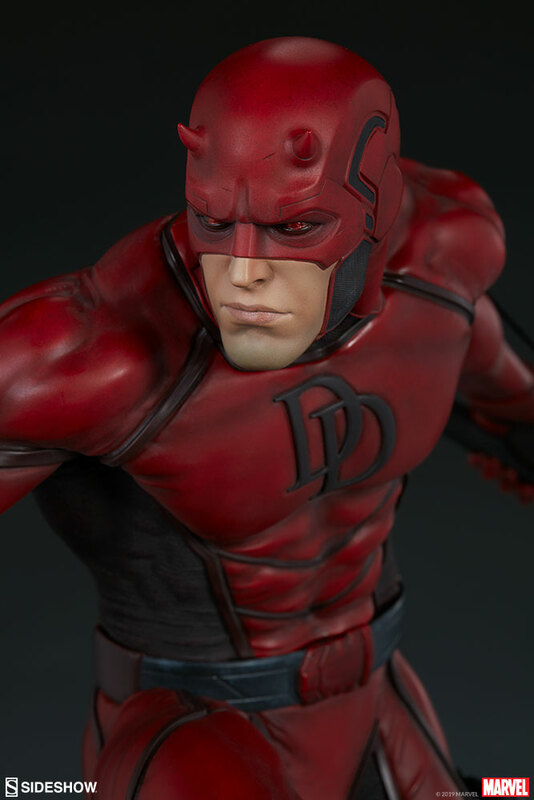 Deliver blind justice to the criminals of Hell’s Kitchen and add the Daredevil Premium Format™ Figure to your collection today! 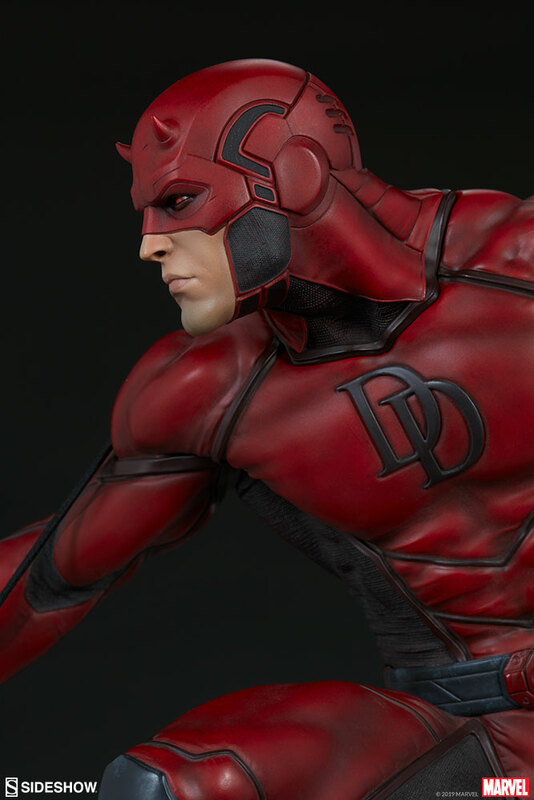 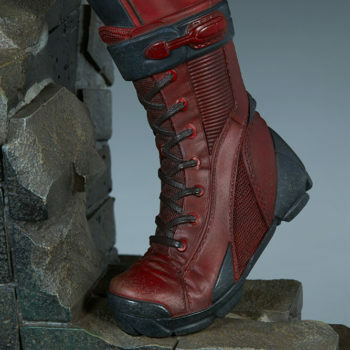 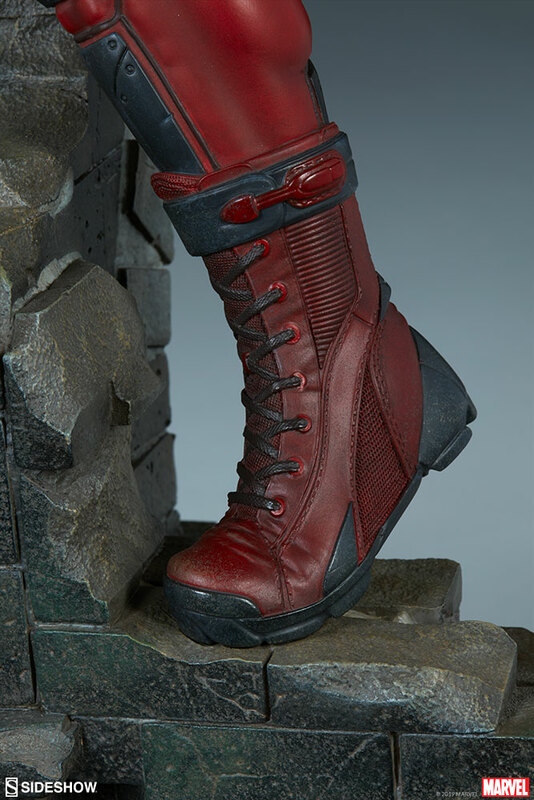 Bring the Marvel Universe a little closer to home with Sideshow’s full offering of Marvel collectibles and Avengers figures. 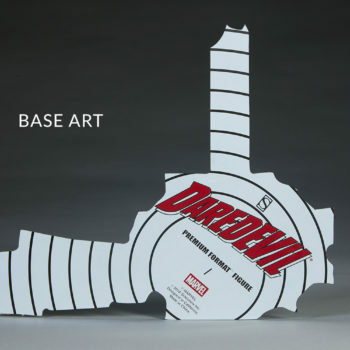 For full out of the box assembly instructions, check out the official Daredevil unboxing video below.